Octopus Party Nail Lacquer has a new collection of bright, jelly holos coming out as a grand finale to his long-time collaboration with e-tailer Ella Ann Cosmetics. 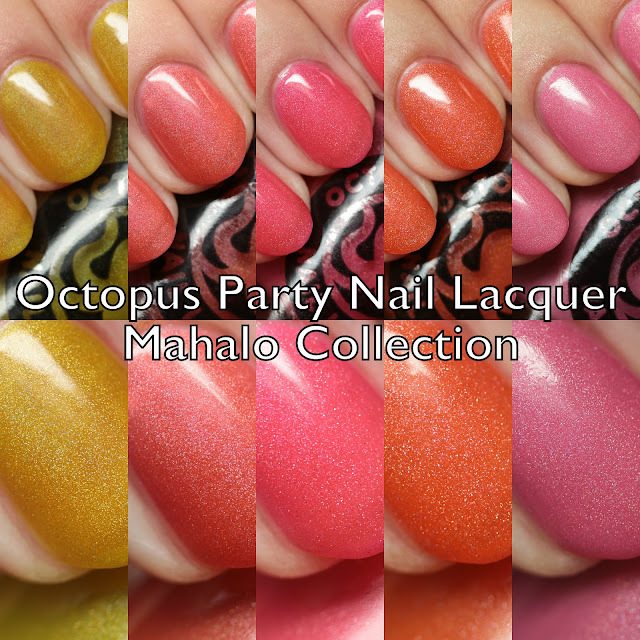 Ella Ann is shutting down, sadly, but will be running a pre-order for this lovely group of polishes. The open period will be between June 9 at 9PM EDT through June 11. Let's check them out! First of all, formula notes. 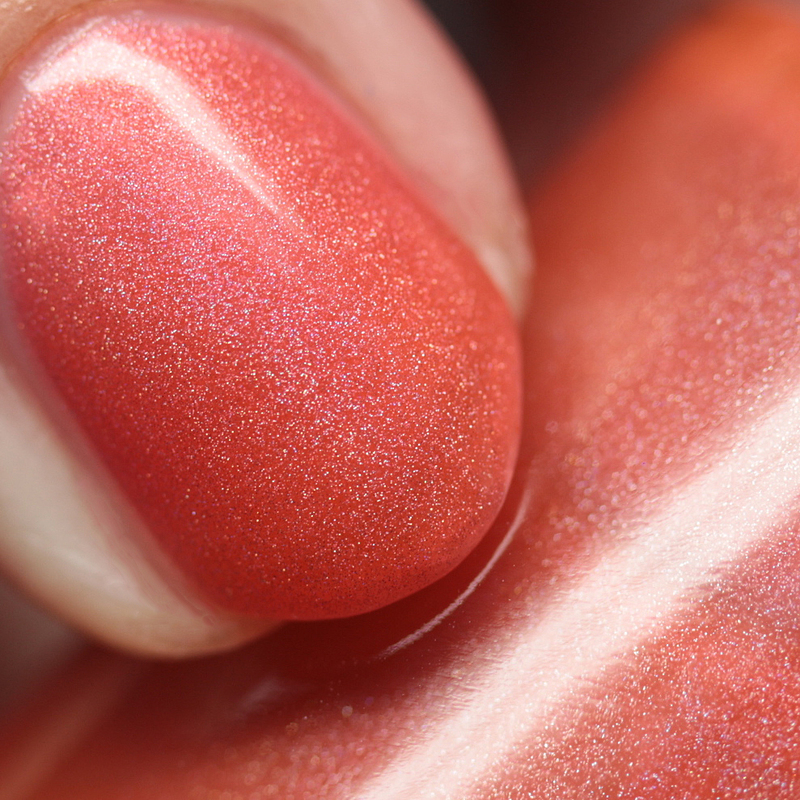 These are jelly polishes so you can expect some visible nail line on their own. 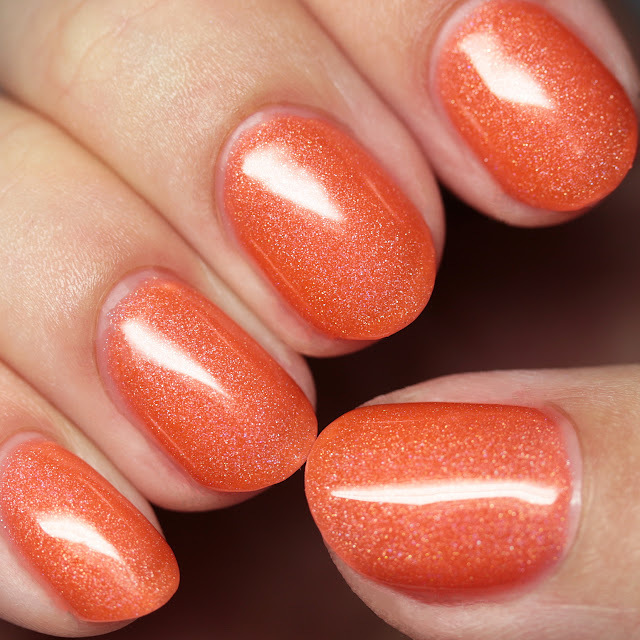 You can also layer them over white or another opaque shade for a brighter effect. 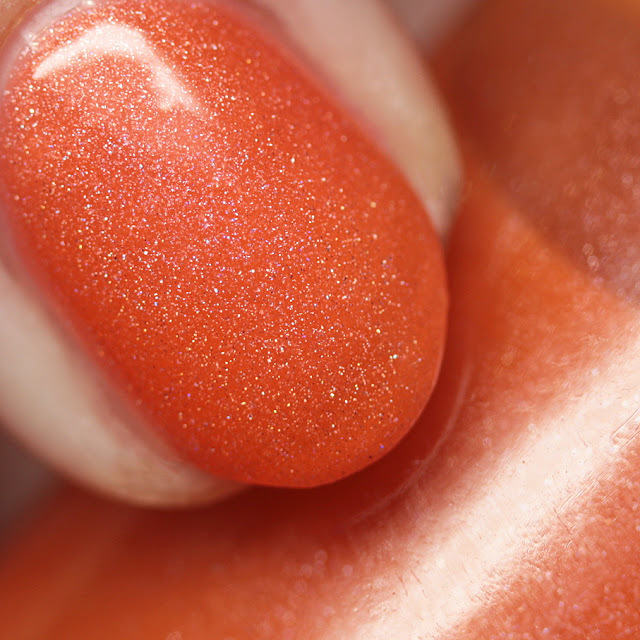 The opacity varies depending on the polish, but I am showing all of my swatches with four very thin coats. 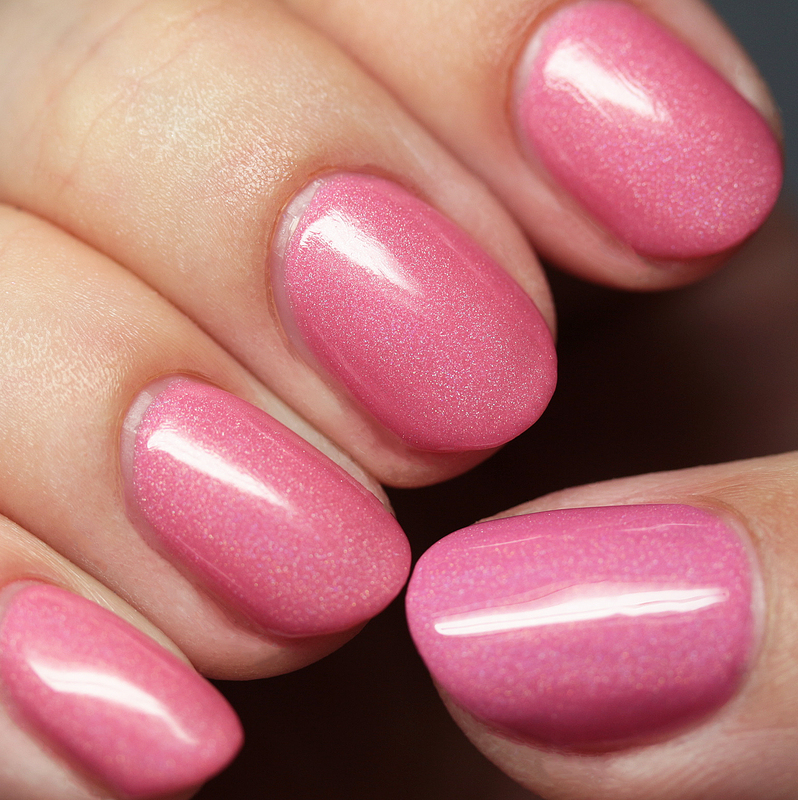 The consistency is smooth and they dry quickly to a satin finish. 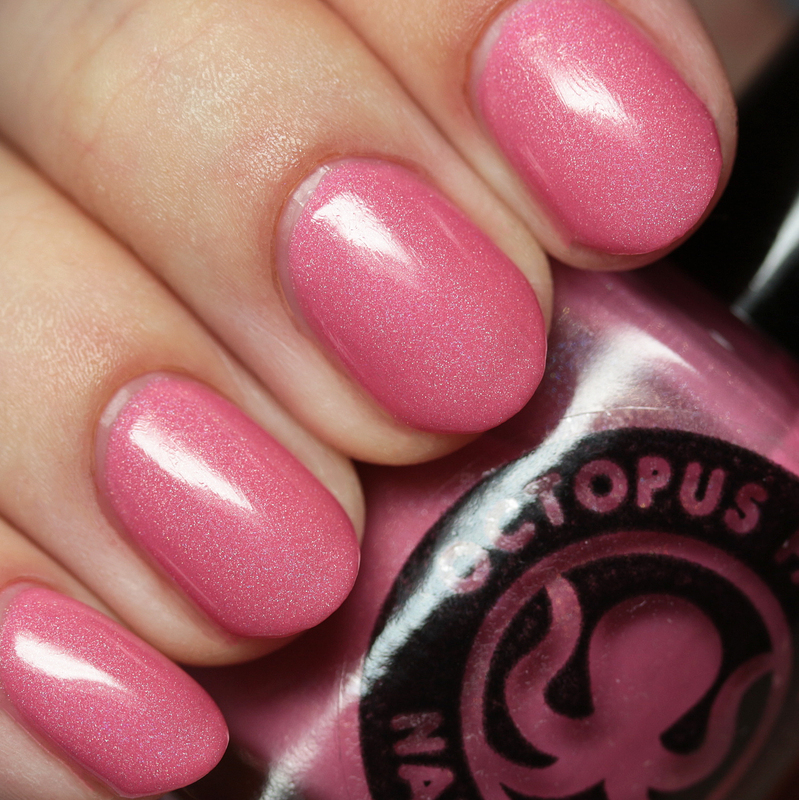 I top coated them all. They are completely non-streaky, so if you just want a light tint on your nail, they will work well for that goal in one or two coats. 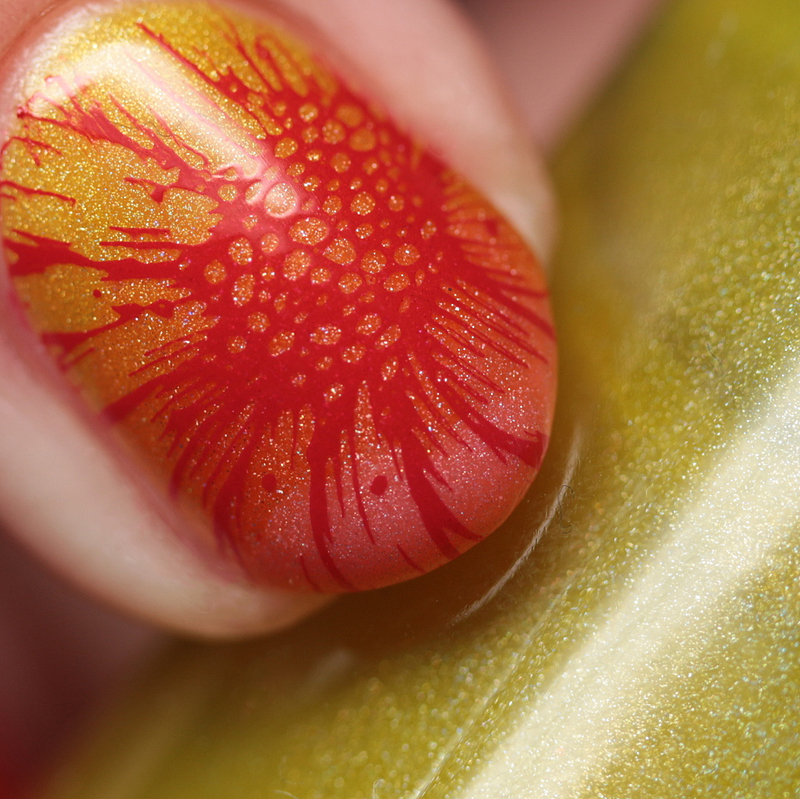 They also water marble, though due to their jelly nature, they will be quite light if done over a white base. The holo is not super-apparent indoors, but they sparkle nicely in bright sunlight. 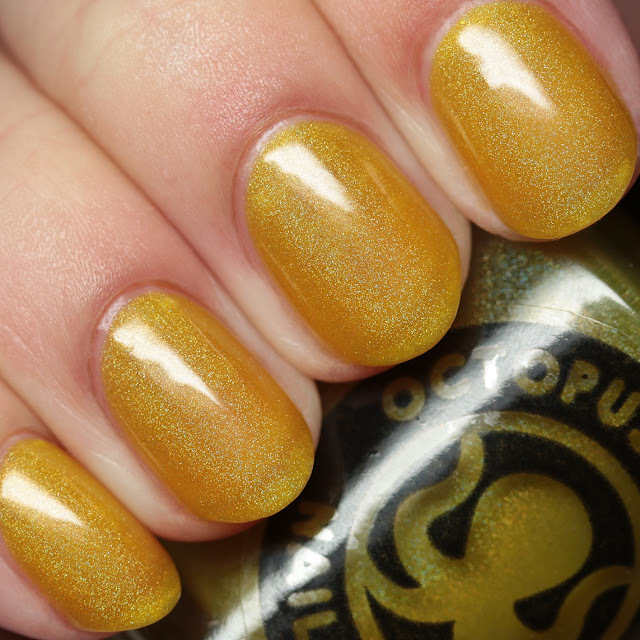 Octopus Party Nail Lacquer Bahama Hammock is a sunflower yellow scattered holo jelly. 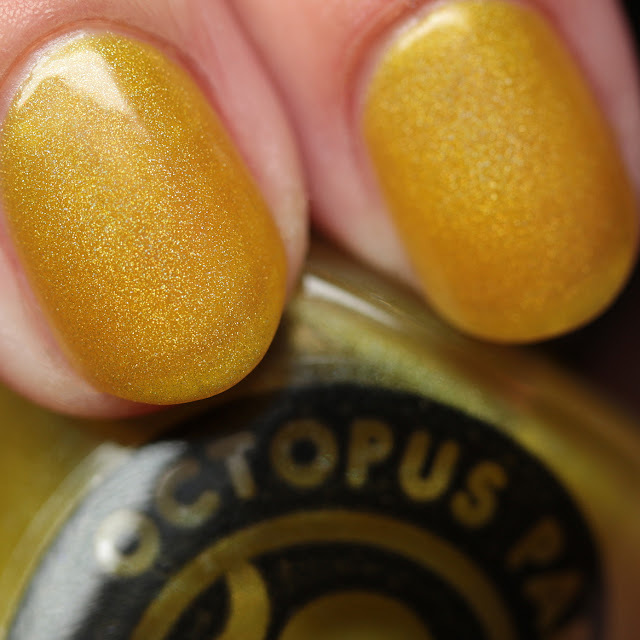 Octopus Party Nail Lacquer Baliwood is a bittersweet scattered holo jelly. 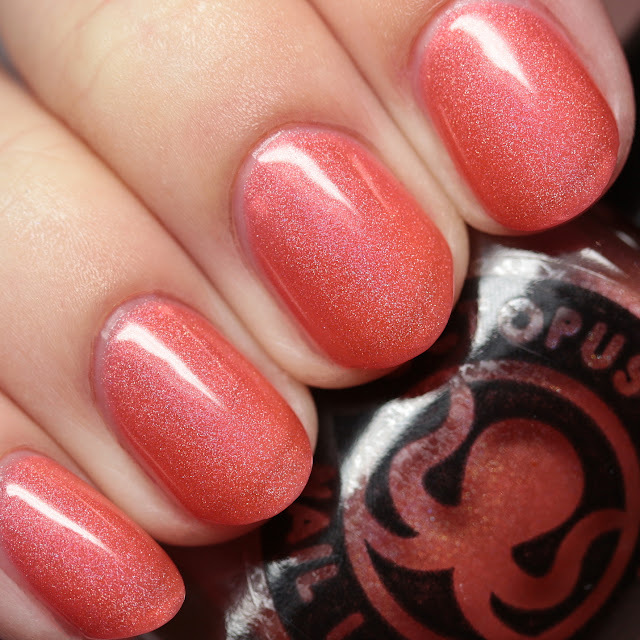 Octopus Party Nail Lacquer Bora the Explorer is a brink pink scattered holo jelly. 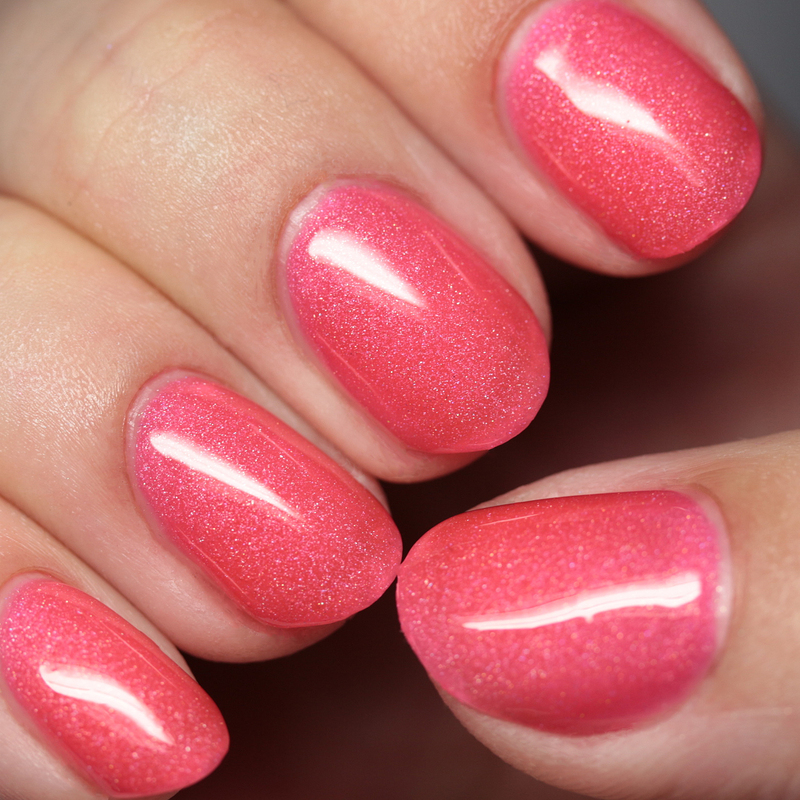 This is a bit more neon than the others. 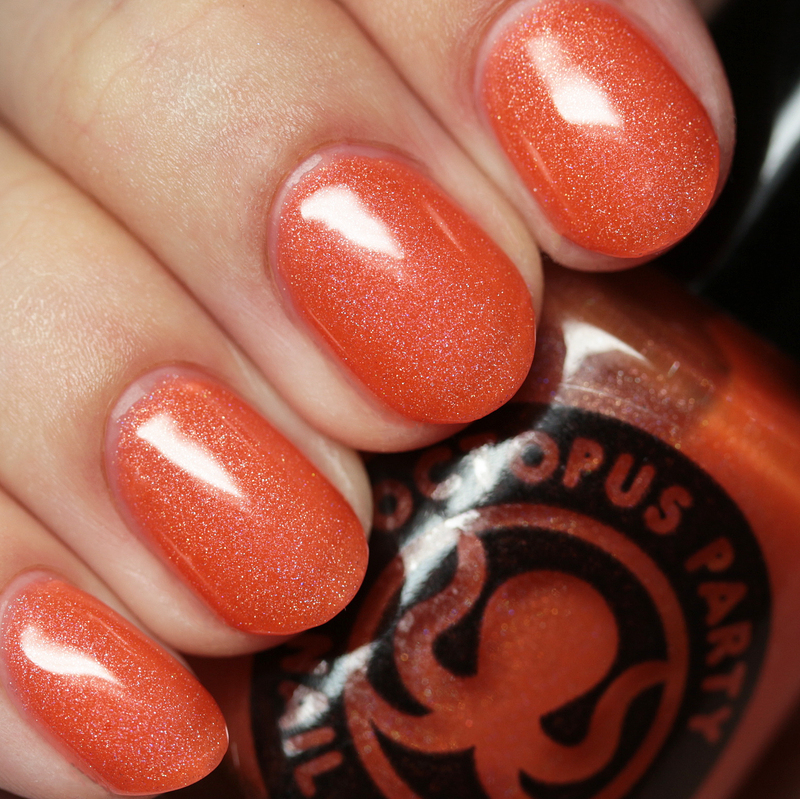 Octopus Party Nail Lacquer Hawaii Five Beaux is a Chinese orange scattered holo jelly. 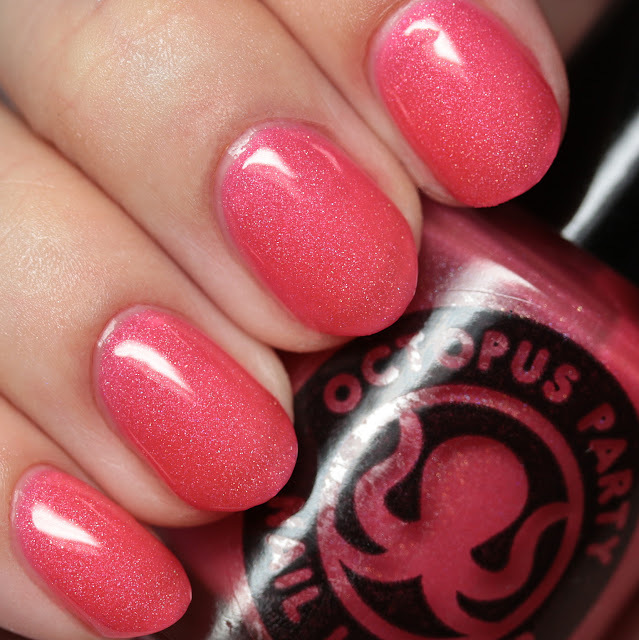 Octopus Party Nail Lacquer She Sells Seychelles is an amaranth pink scattered holo jelly. These are great for nail art! 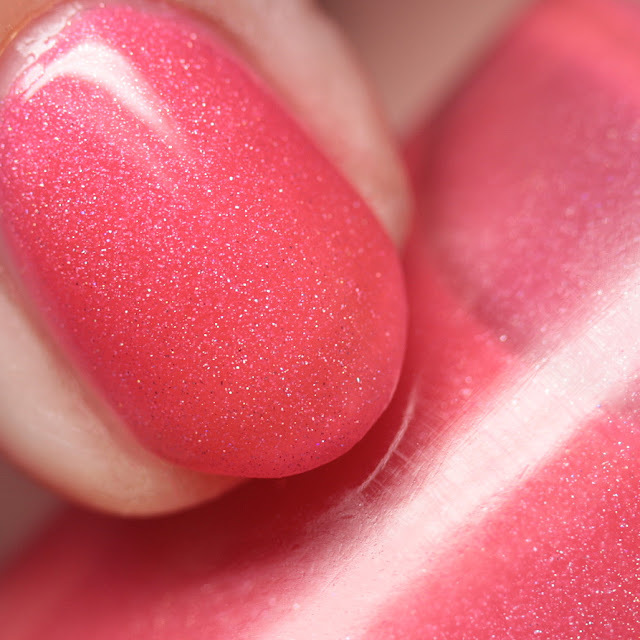 Some of the shades are more or less jelly or syrup like and can be layered together. 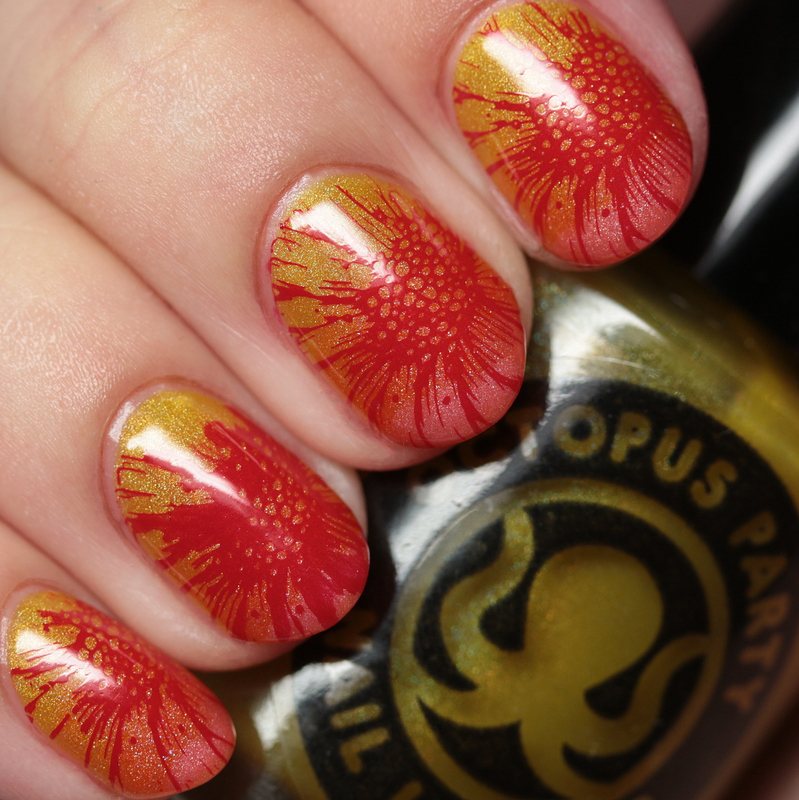 Here I did a gradient just by dabbling the shades with the bottle brush in lines on my nail. 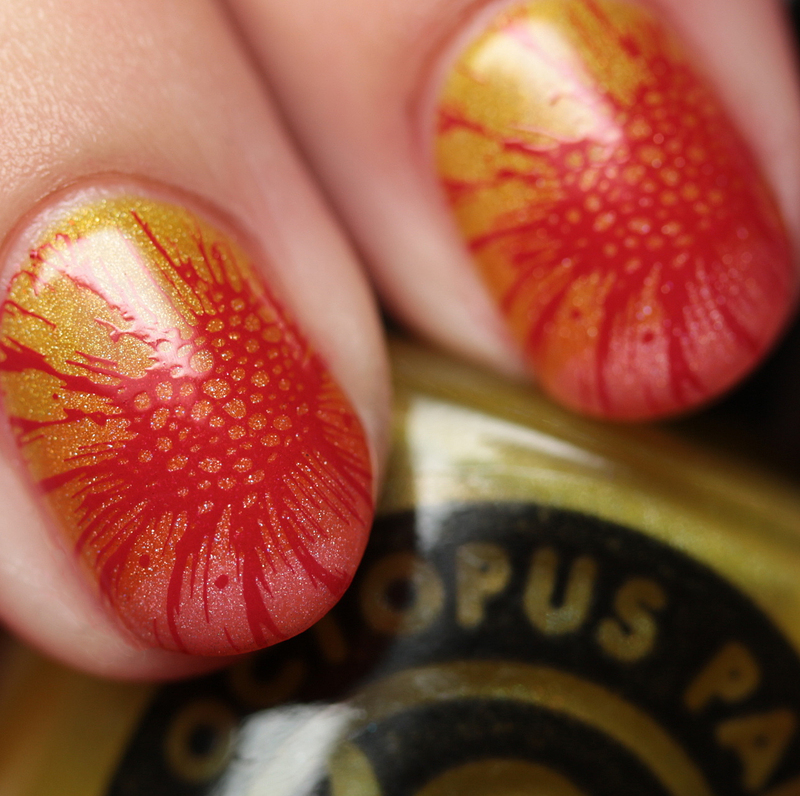 I followed up by stamping with Moonflower Polish Rojo using Über Chic 3-01 plate. 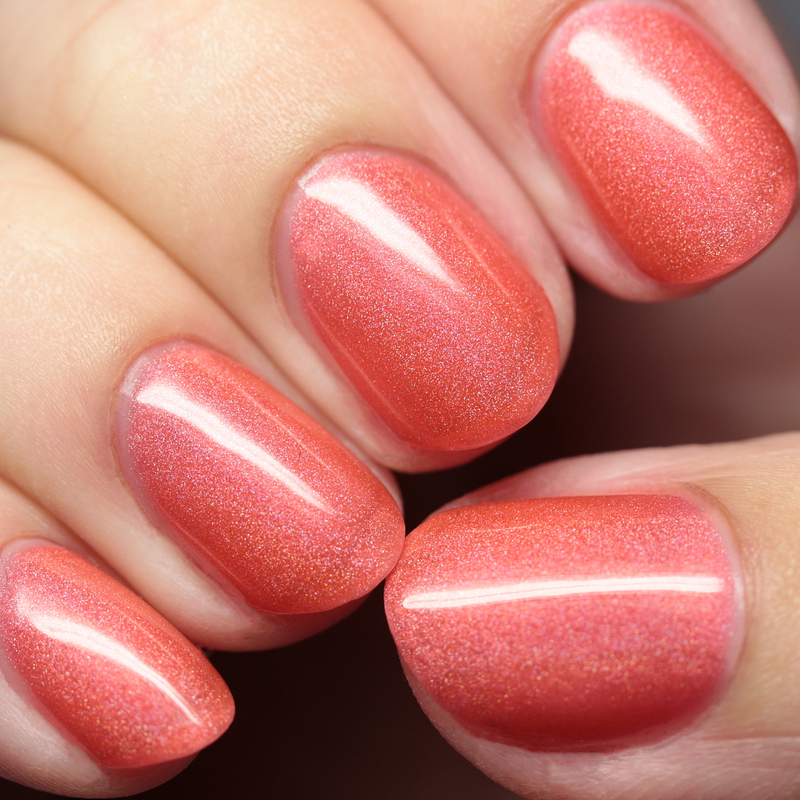 These will be available at Ella Ann Cosmetics for pre-order between June 9 at 9PM EDT through June 11. How do you like jelly polishes - do you get any ideas for nail art from these?